Nikon Corporation (Kazuo Ushida, President, Minato-ku Tokyo) has released the latest generation Nikon ArF immersion scanner, the NSR-S631E. This Lithography system was developed for use in 7-nm node processes in high-volume semiconductor manufacturing. It supports multiple patterning*, and features the high accuracy and excellent productivity of the proven Streamlign Platform (also used in the well-known NSR-S630D). The NSR-S631E meets next-generation customer manufacturing requirements with further overlay and throughput enhancements that are critical in multiple patterning processes. *Multiple patterning refers to a circuit pattern that has been divided into two or more patterns with a feature density low enough to be printed with an existing immersion lithography system, which are then combined to ultimately render a high feature density. High-volume manufacturing of today's leading-edge semiconductors is transitioning to 10-nm node processes, while development is transitioning to 7-nm node processes. Further miniaturization of circuit patterns in photolithography processes continues to rely on multiple patterning technology using ArF immersion exposure systems. Enhanced overlay accuracy and productivity are essential for these exposure systems. The NSR-S631E delivers mix-and-match overlay (MMO*) of 2.3 nm or below through the use of a new type of projection lens, as well as improved alignment system mark detection and measurement. 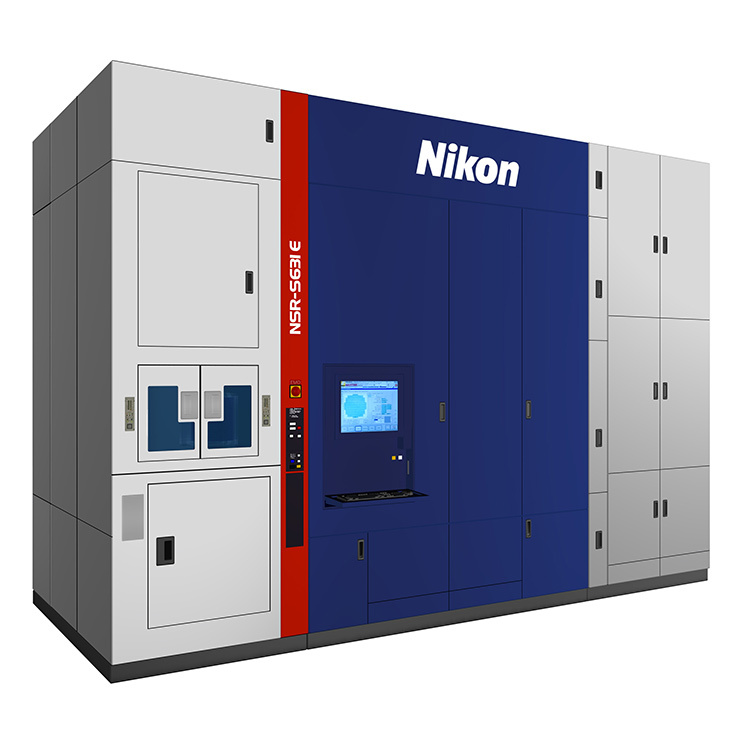 The S631E also maximizes fab productivity with throughput capabilities up to 270 (96-shot) wafers per hour. *Mix and Match Overlay (MMO) refers to overlay accuracy among multiple identical scanners. In conjunction with a hybrid system that combines encoders and interferometers for wafer stage position measurement, reticle stage position is measured using 2D encoders. This enables position measurement of each stage that is free from the effects of air fluctuation, thereby enhancing overlay accuracy. By increasing the number of Field Image Alignment (FIA) microscopes to five (Five-Eye FIA)*, alignment measurements can be performed in a shorter period of time. Five-Eye FIA minimizes throughput loss even when multiple points, nearly equal to the entire amount of shots, have to be measured. A hierarchical modular structure means that less time is needed to start equipment up at customer sites, and simplifies system repairs. This substantially improves maintainability. *Five-Eye FIA: Improved type of FIA that has 5 alignment microscopes instead of the conventional 1. The S631E incorporates a newly developed projection lens design that provides better aberration correction functionality to ensure optimal imaging performance. In addition, an innovative measurement optics system enhances alignment and focus accuracy on product.